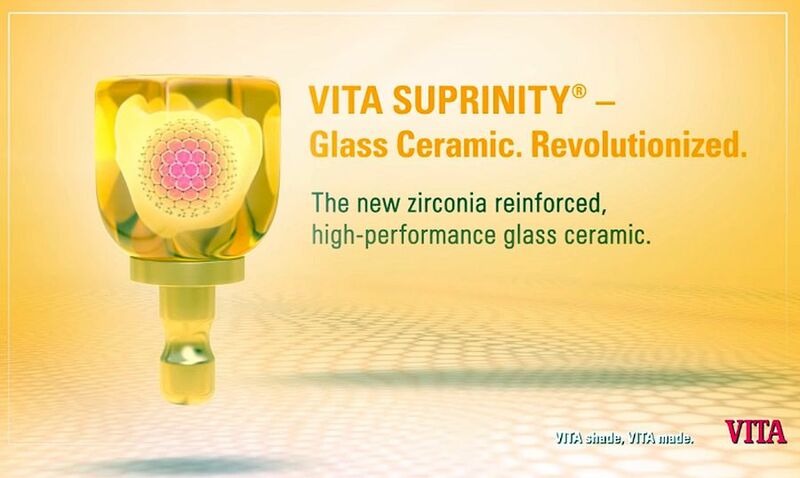 VITA SUPRINITY® The new zirconia reinforced high-performance glass ceramic. 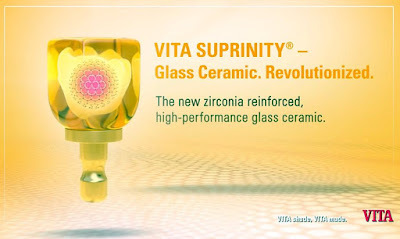 VITA Zahnfabrik offers VITA SUPRINITY, a new generation of glass ceramic material products. With the aid of an innovative manufacturing process, the glass ceramic is enriched with zirconia (approx. 10 % by weight). The result is the world's first zirconia reinforced lithium silicate ceramic (ZLS).